Reading is truly a fundamental part of our lives – it helps us communicate, improves our memory, and exposes us to the wonders of imagination. One man is making a huge difference in the lives of countless Central Texas children by making sure they have access to books, and he’s having fun doing it. Wayne Glander, who is known as “Justin Beaver” to students he encounters while driving around town delivering books, has volunteered thousands of hours of his time to local literacy nonprofit BookSpring since retiring. He’s also worn a festive hat decorated with two stuffed beavers for almost all of that time. Wayne’s hat is adorned with lots of “Reading Is Fundamental” pins – a constant reminder of why he does what he does by delivering books to kids who might not otherwise have access to them. Over the course of 10 years, Wayne has delivered close to a quarter million (250,000) books! 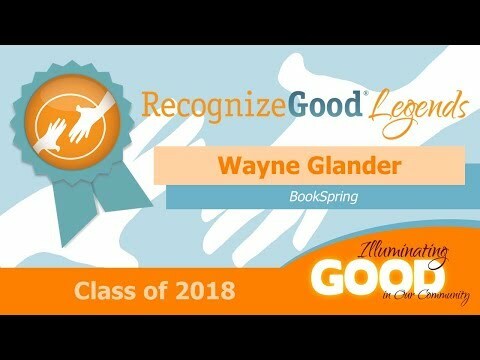 Wayne has volunteered over 500 Thursdays, more than 2,000 hours, and driven more than 60,000 miles since he started dedicating his time to BookSpring. “Justin Beaver” is regularly asked for his autograph by young students, and Wayne never hesitates to oblige.